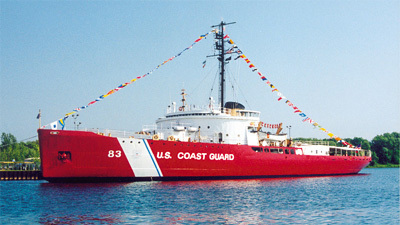 The mission of the USCG Cutter Mackinaw WAGB 83 is captured powerfully in the motto of the US Coast Guard; “Semper Paratus – Always Ready”! Specifically built to keep the Great Lakes shipping lanes open under the harshest winter conditions during World War II, the Mackinaw made it possible for iron ore and copper from the Upper Peninsula of Michigan to be transported to the wartime factories in the lower Great Lakes. 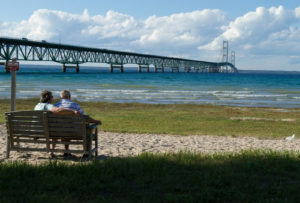 The Mackinaw boasts a length of 290 feet, a beam of 74 feet, 4 inches and a displacement of more than 5,250 tons. She is powered by six 10 cylinder opposed-piston Fairbanks-Morse diesel engines which drive generators that produce electricity to power motors providing 10,000 shaft horsepower to turn two 14’ stern propellers and one 12’ bow propeller. 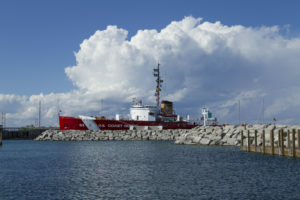 When the US Coast Guard decided to retire the Mackinaw, a group of local citizens, determined to preserve the history and legacy of the Icebreaker Mackinaw, came together and secured the ship. Thus was born the Icebreaker Mackinaw Maritime Museum, Inc. a non-profit organization. Unlike similar ships, stripped at the time they were decommissioned, the Icebreaker Mackinaw displays the engines, equipment, furniture, charts, awards, tools and related artifacts as though she is virtually ready to get underway. From the fantail of the Mackinaw, the visitor is treated to a stunning panoramic view of the Straits of Mackinac.  The museum ship is open daily at 9:00 am from mid-May through mid-October.  Visit www.themackinaw.org or call 231-436-9825 for more information.